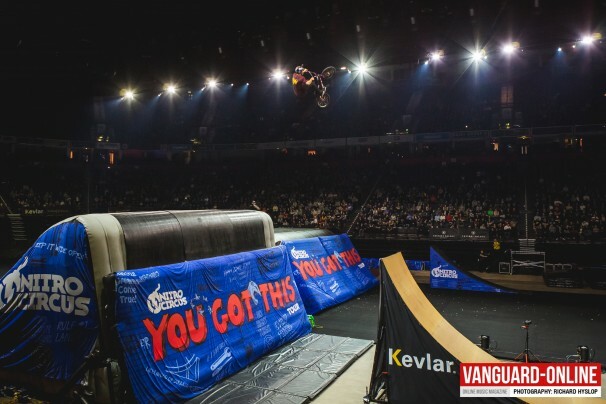 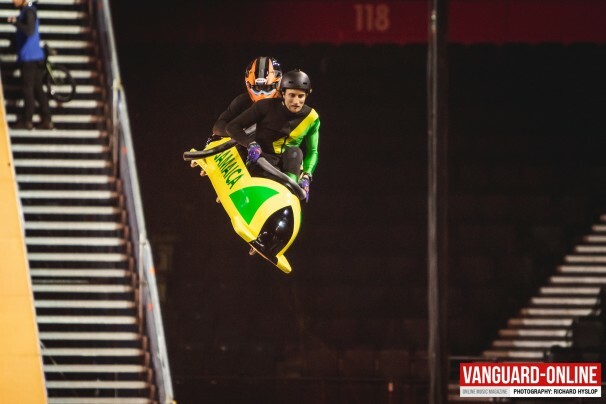 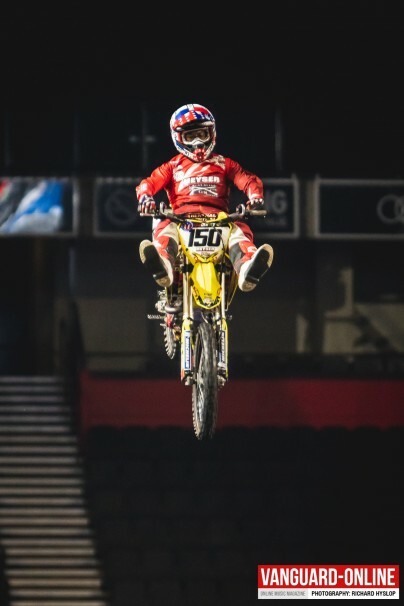 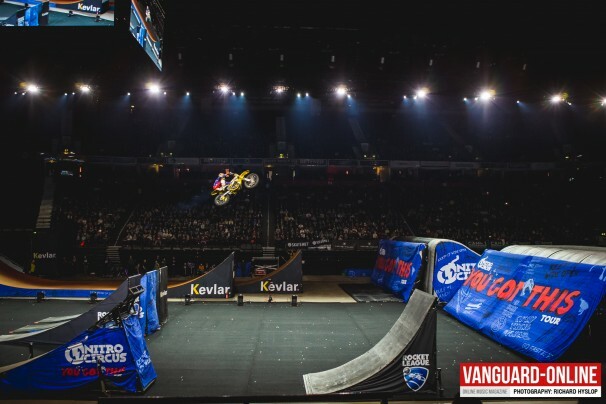 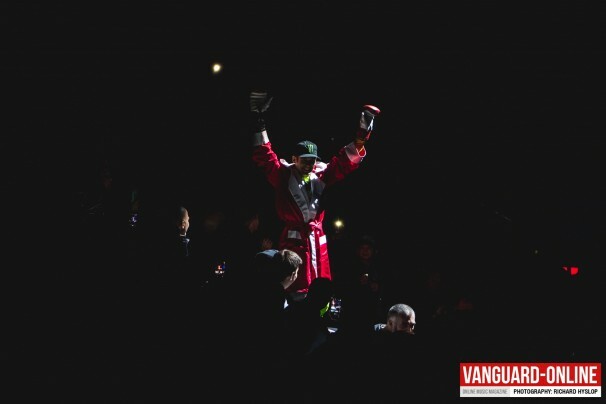 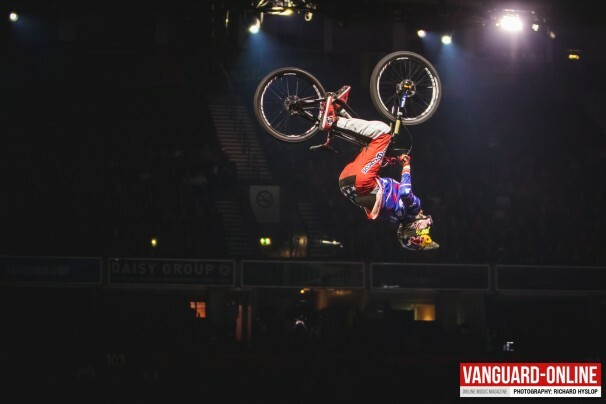 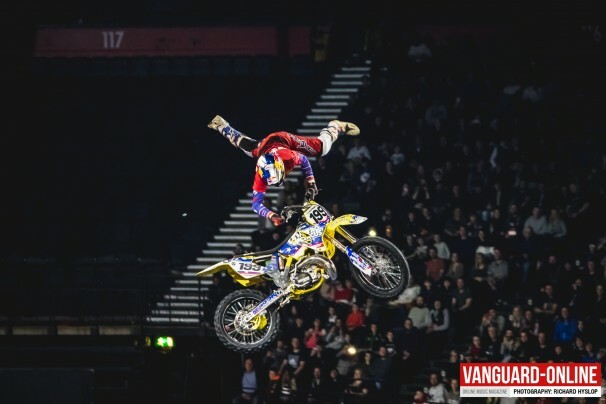 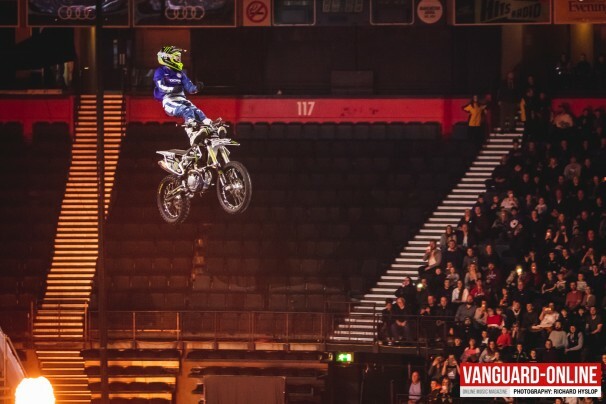 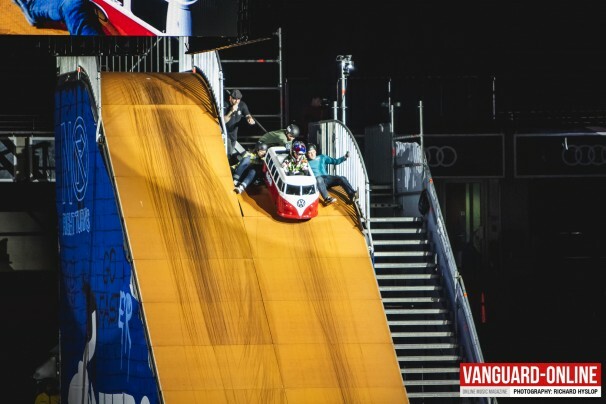 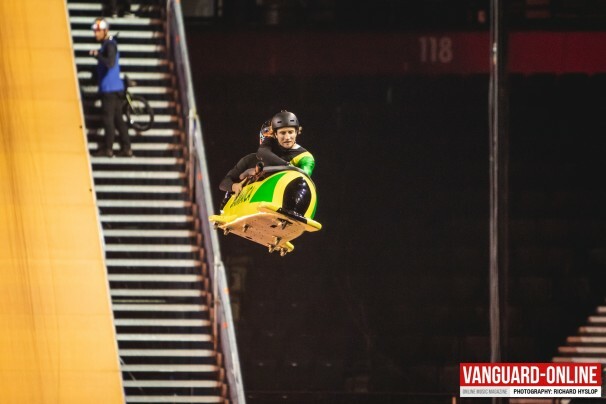 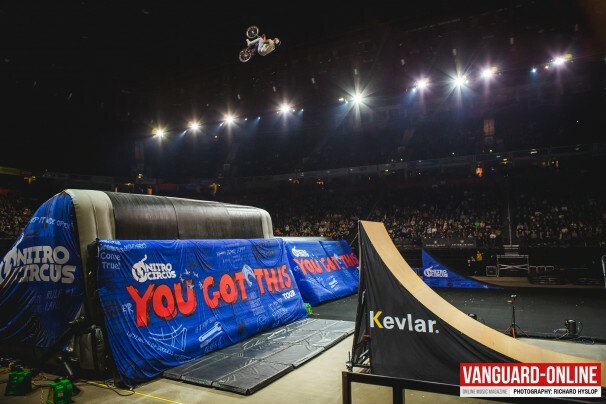 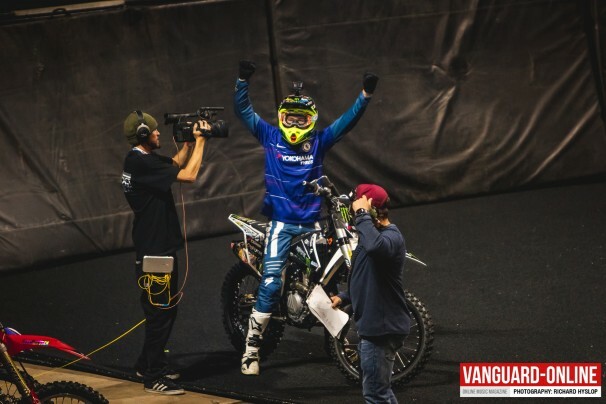 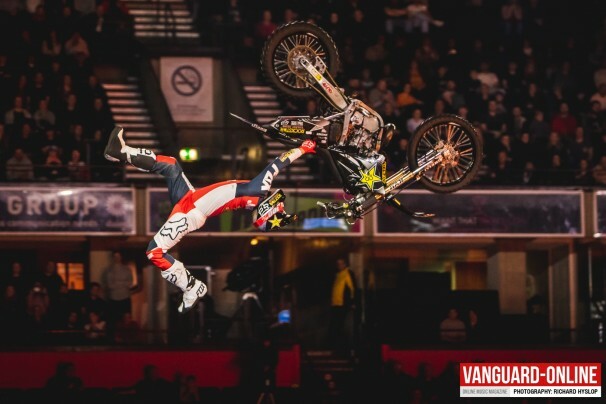 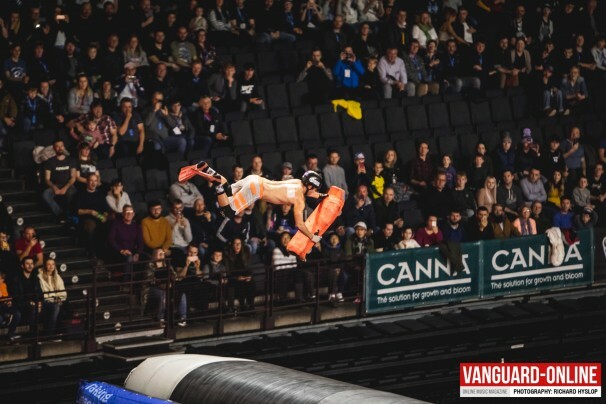 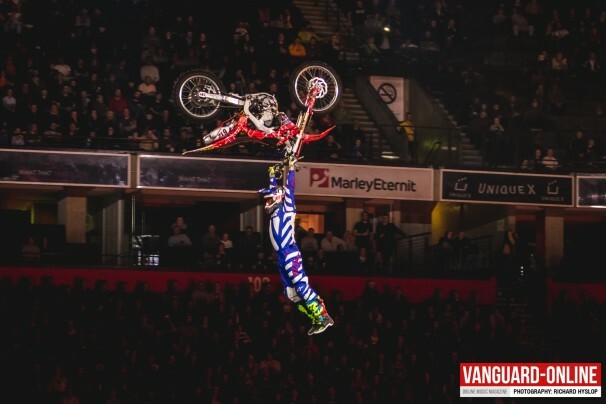 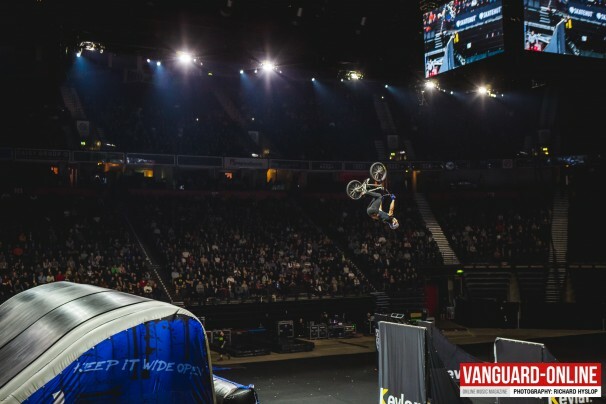 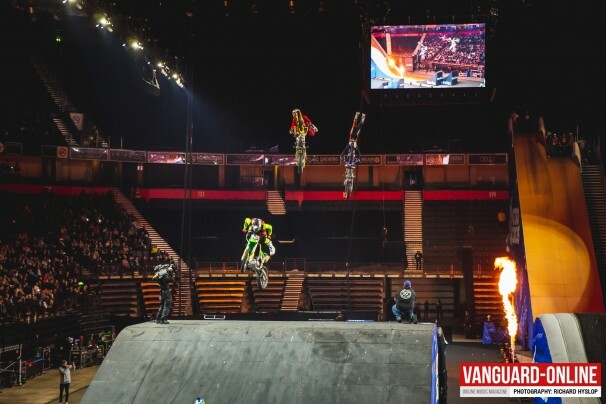 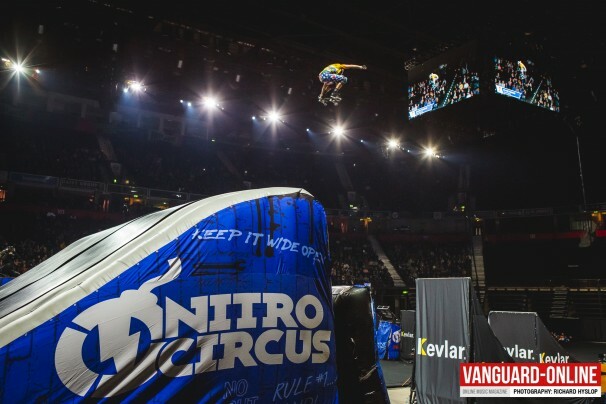 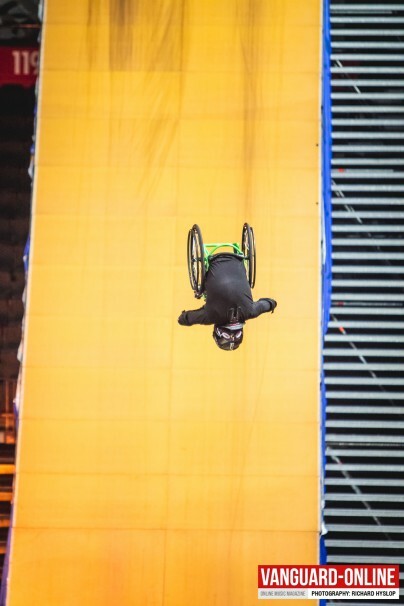 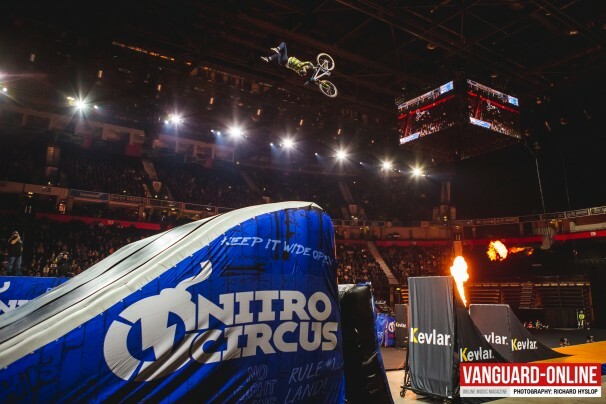 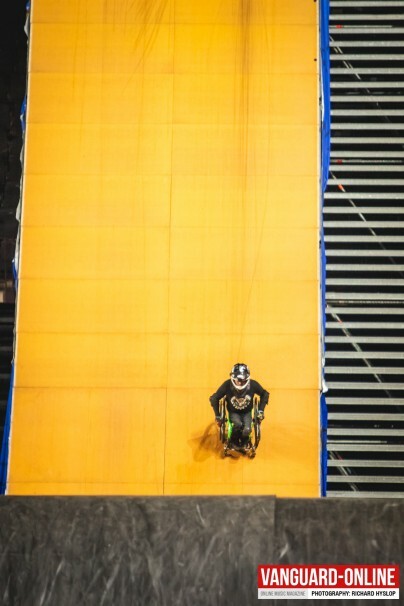 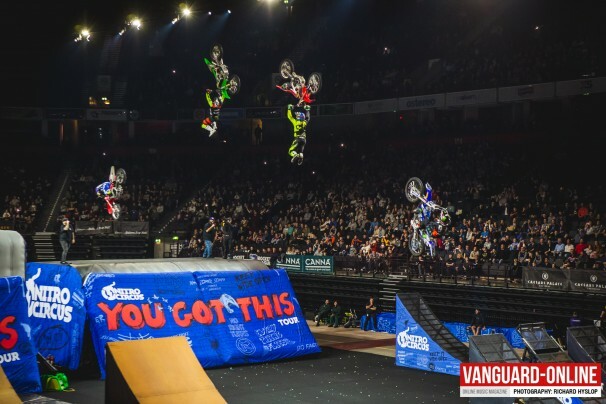 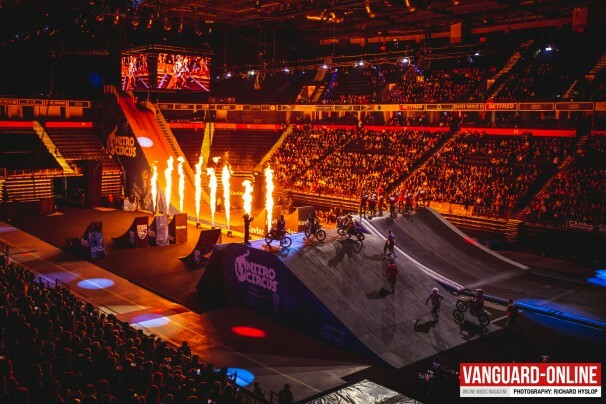 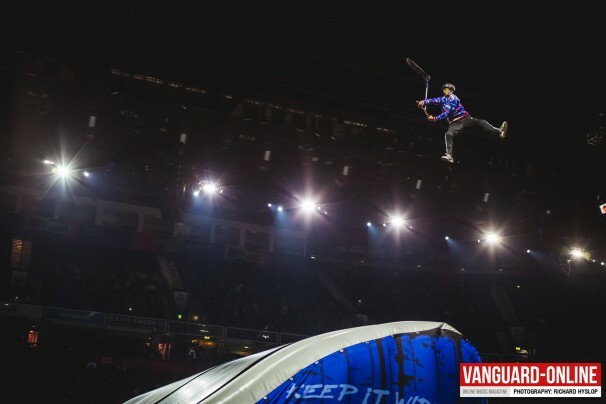 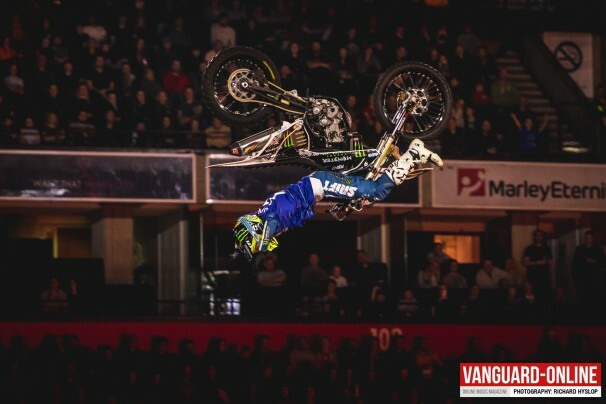 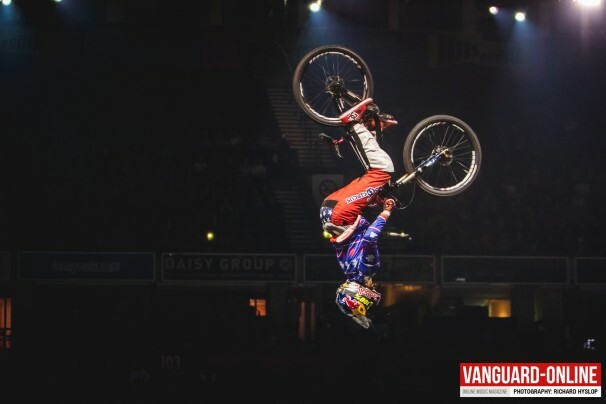 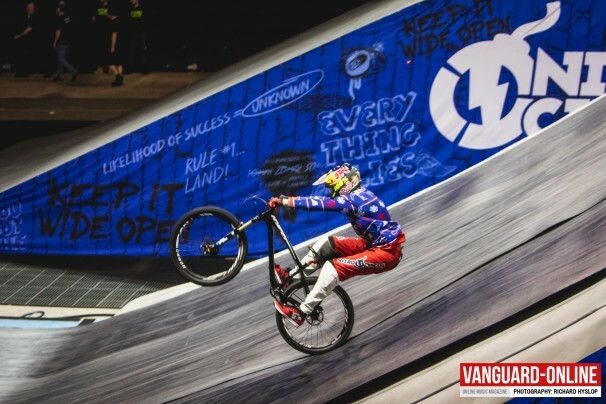 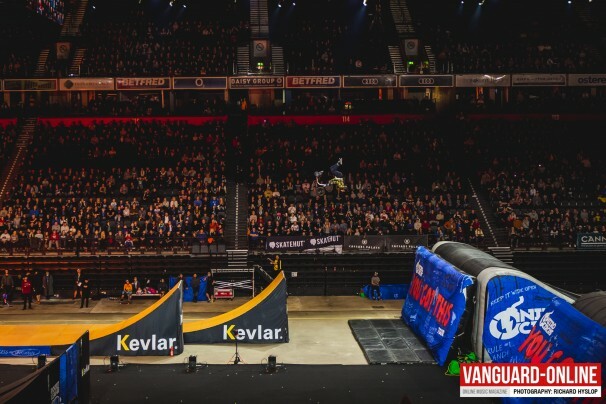 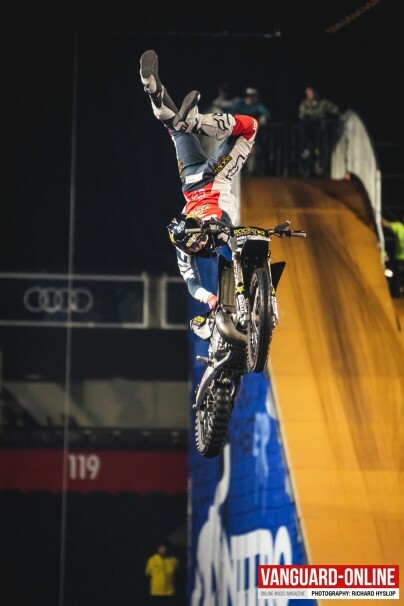 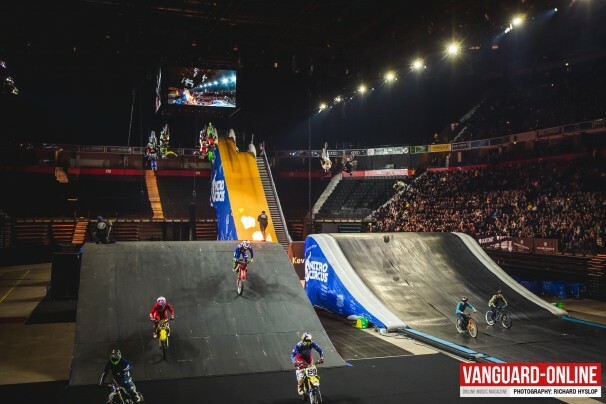 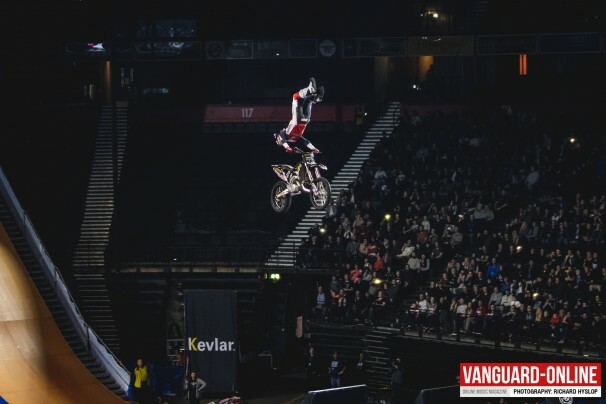 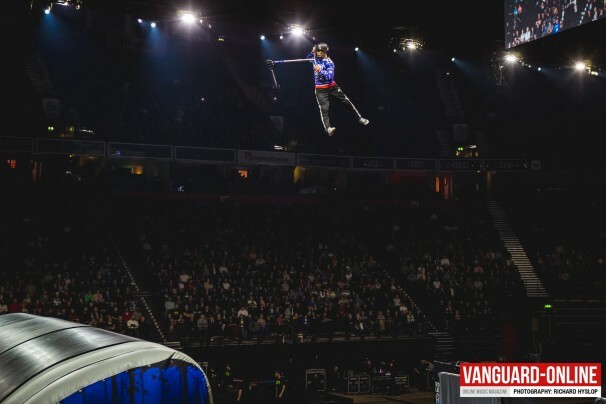 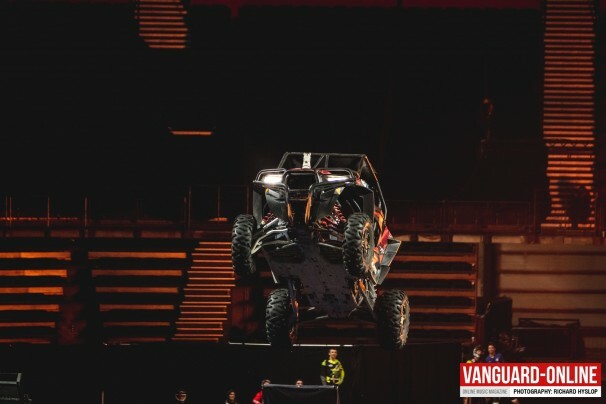 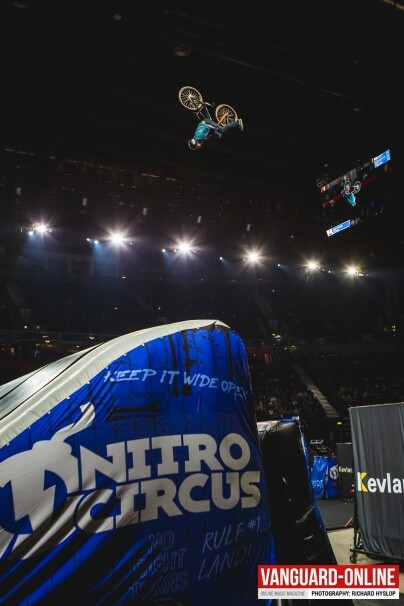 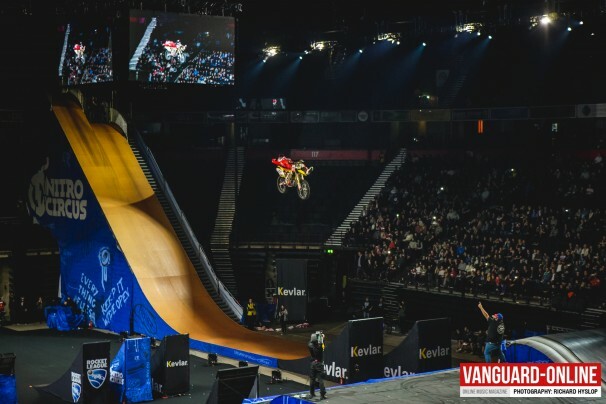 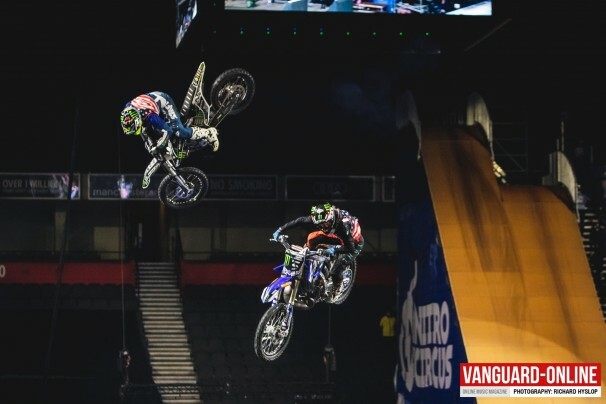 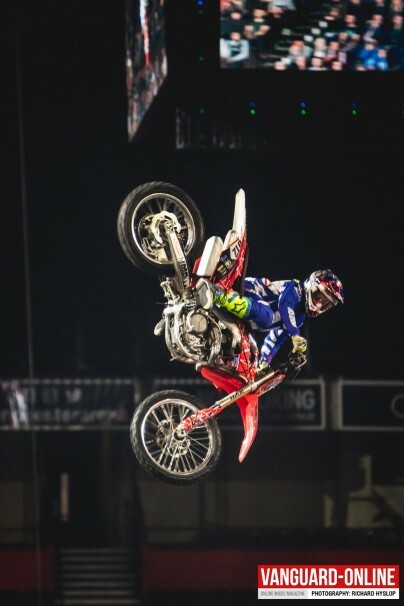 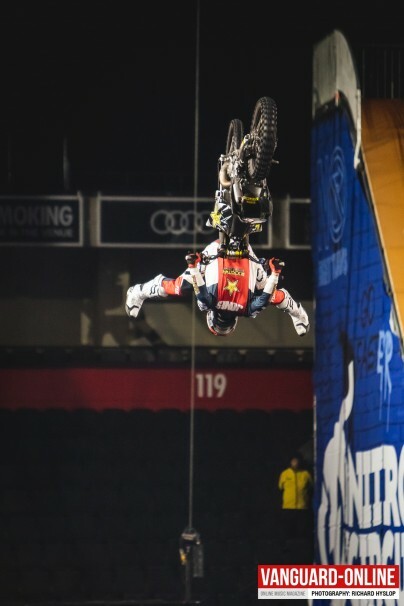 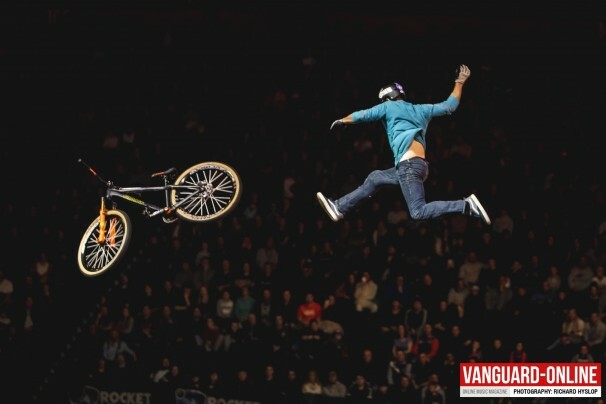 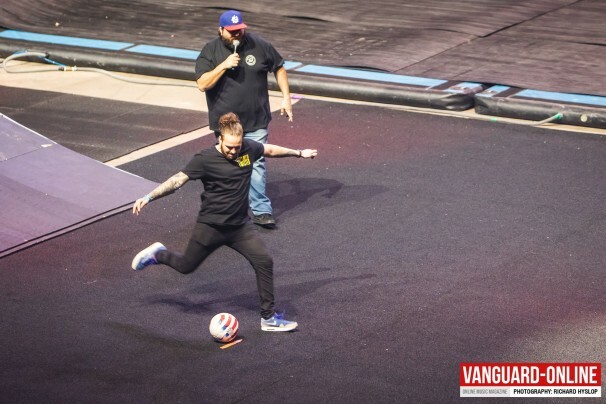 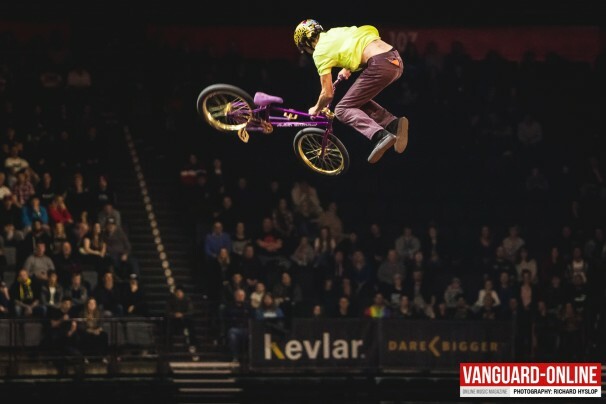 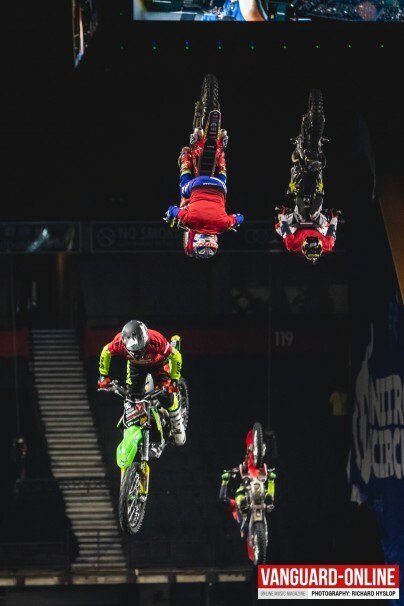 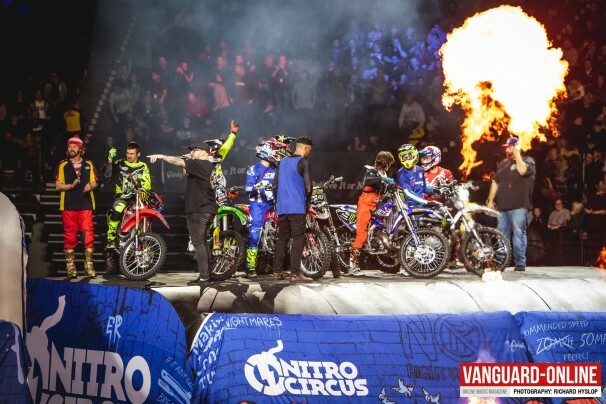 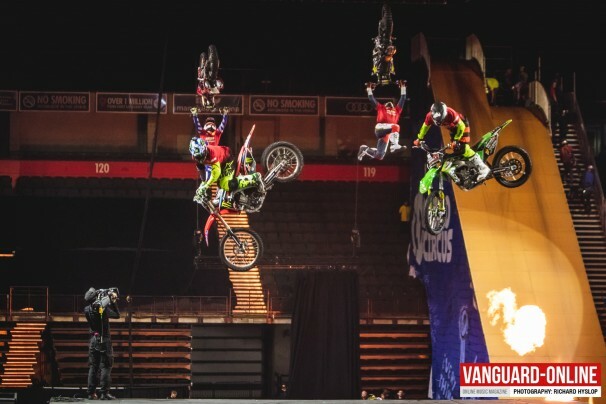 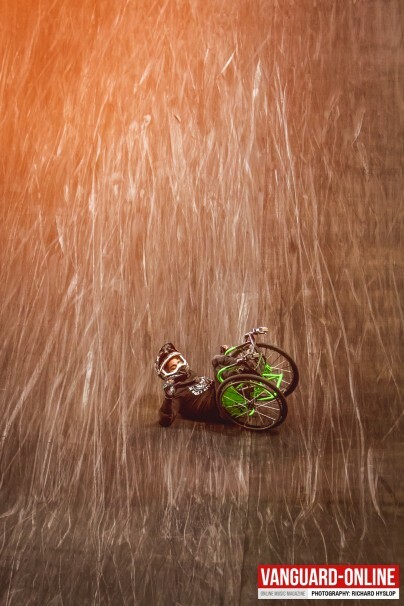 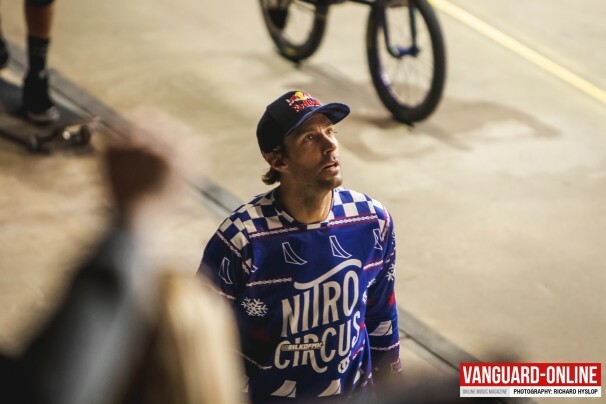 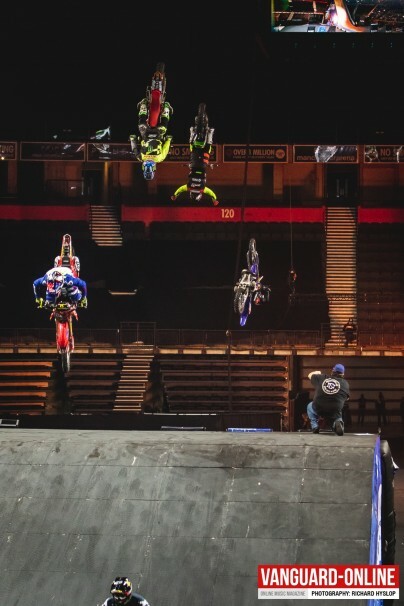 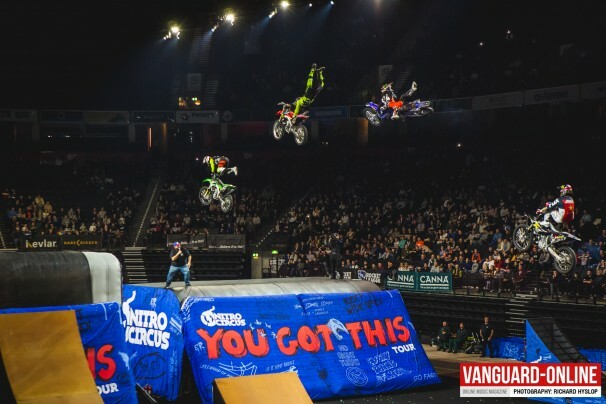 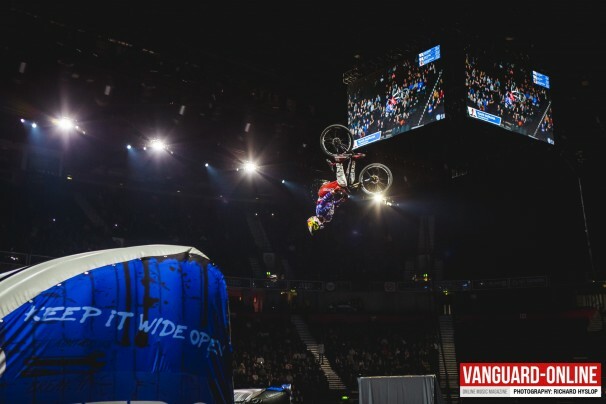 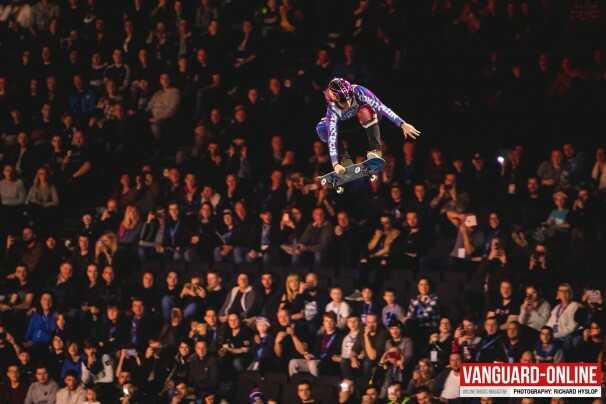 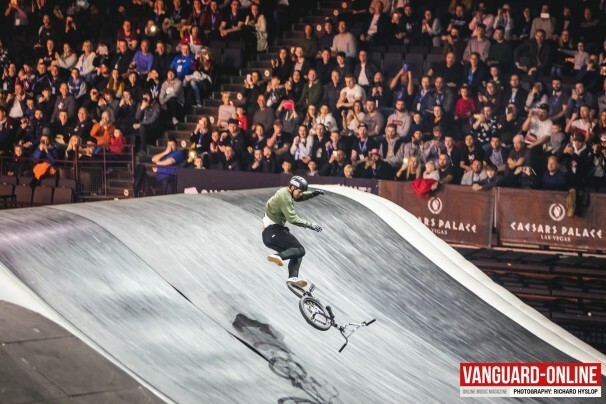 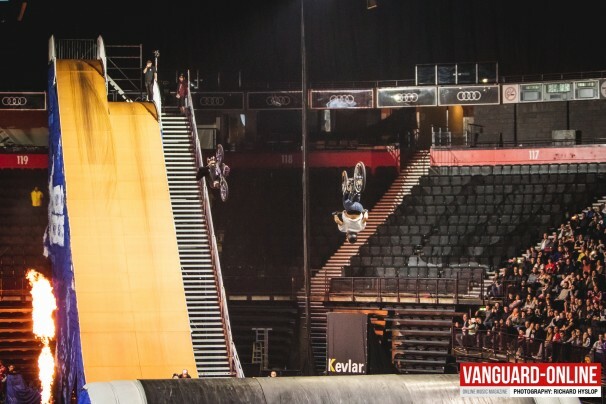 The brainchild of Freestyle Motocross legend Travis Pastrana ‘Nitro Circus Live’ returned to the UK shores this month with 5 dates, nearly 3 years since the last visit, I managed to catch the show at the Manchester Arena late last week. 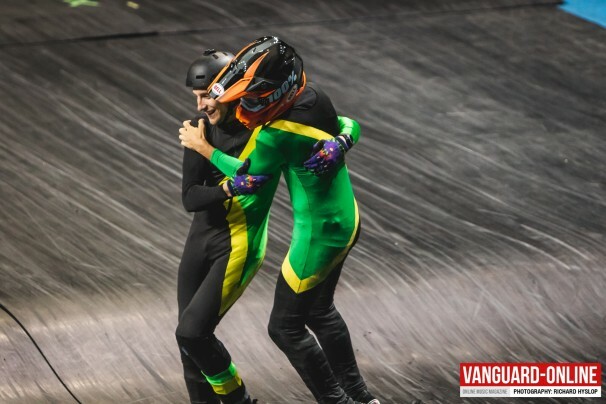 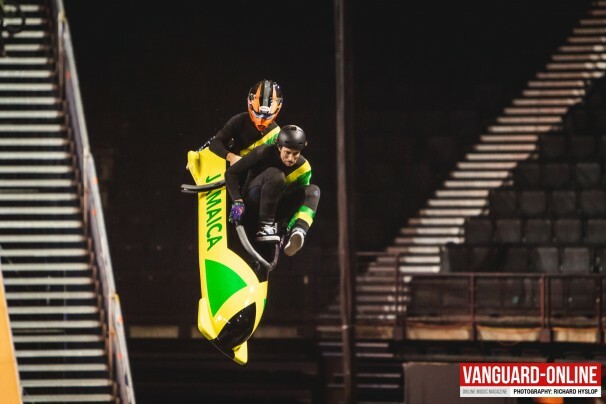 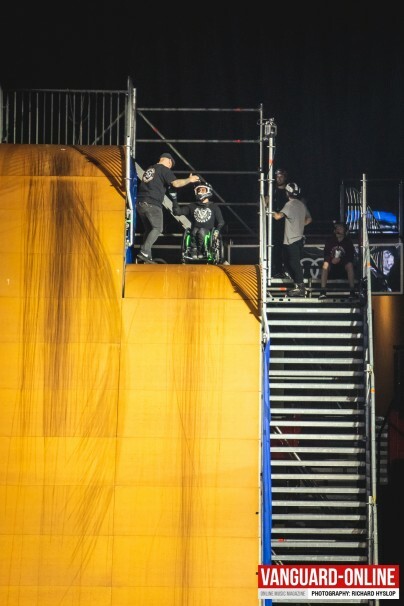 When I first walked into the Arena I was struck by how visually impressive everything was and the time and effort that has gone into the show, the support crew is huge and that Giganta ramp… what a monster! 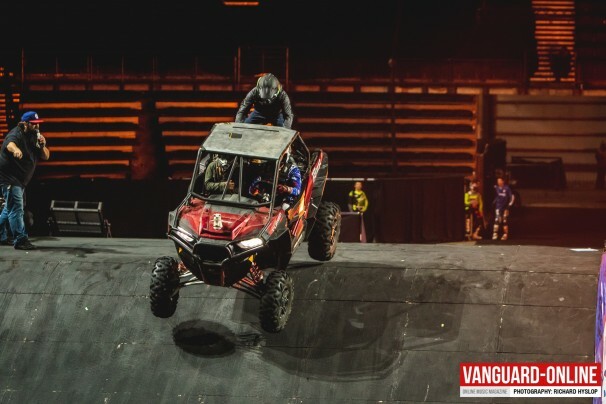 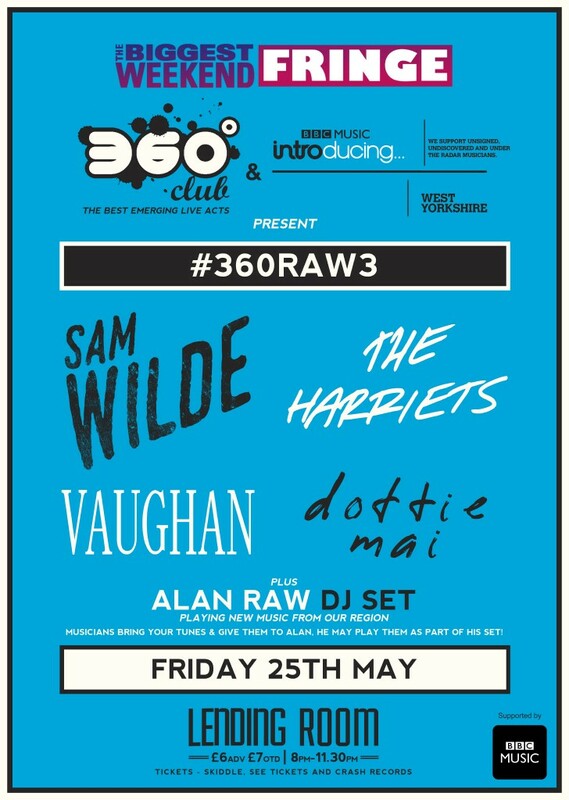 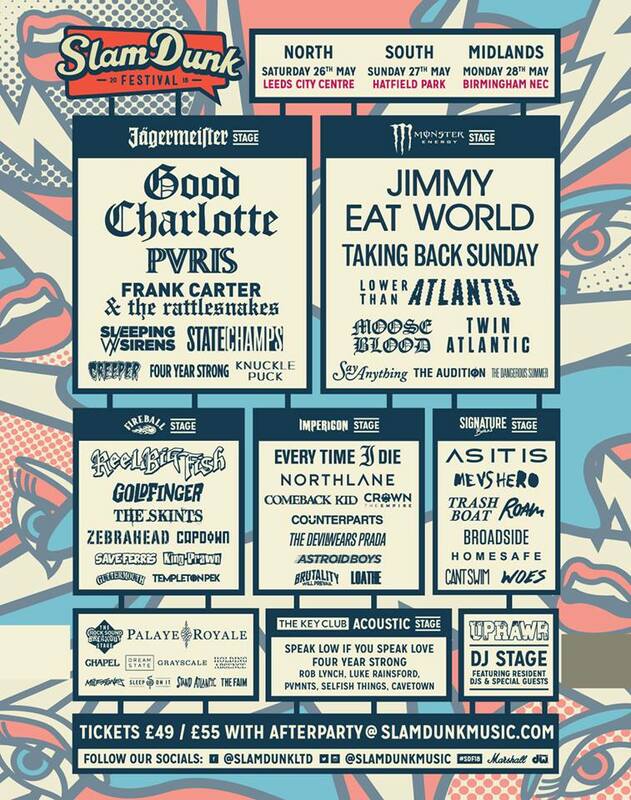 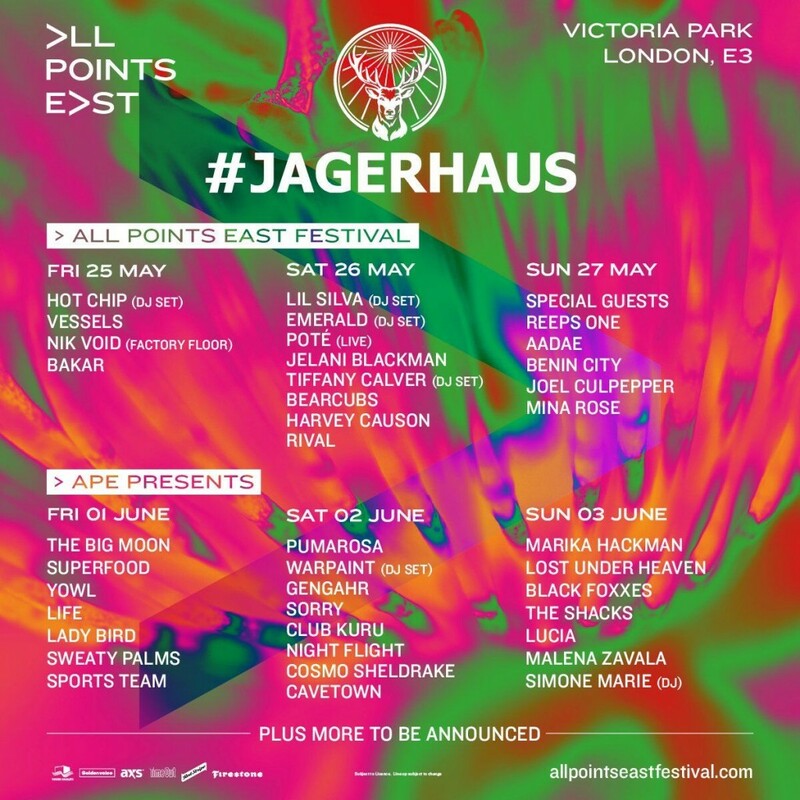 It was clear from the start that this was going to be one hell of a night! 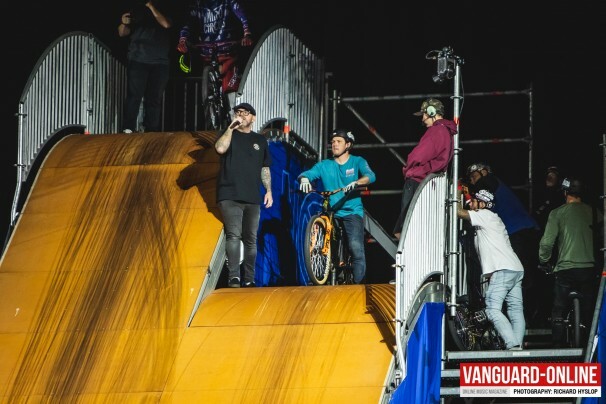 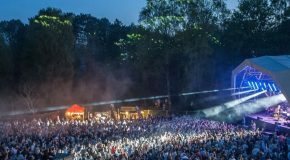 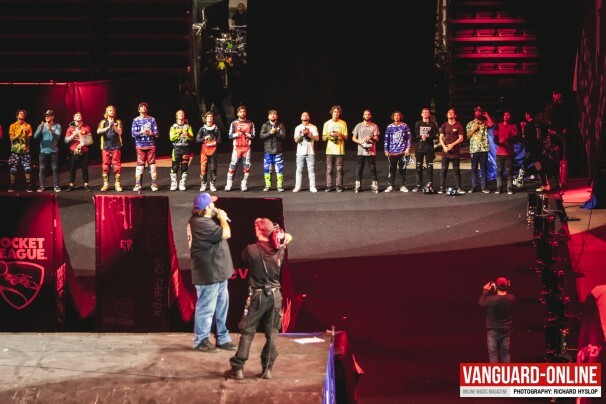 Running two competitions during the course of the show, FMX best tricks and Giganta Best Tricks. 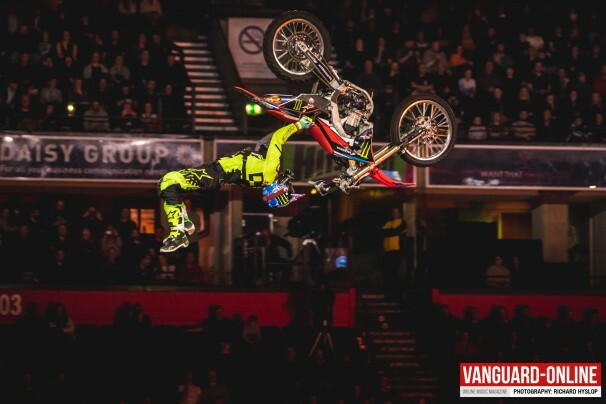 With so many standout moments in one night it’s hard to know where to start, I think for me the FMX Best Tricks was an awesome part of the evening, these guys are seriously talented and made the tricks look effortless, British rider Jamie Squibb kicked it off with a sick flat-liner, but scored low with the judges, I absolutely loved Gregg Duffys front-flip knack knack, sadly he slipped a foot peg on landing… however finally winning the $1000 prize money with a perfect back-flip lazy-boy was Blake ‘Bilko’ Williams. 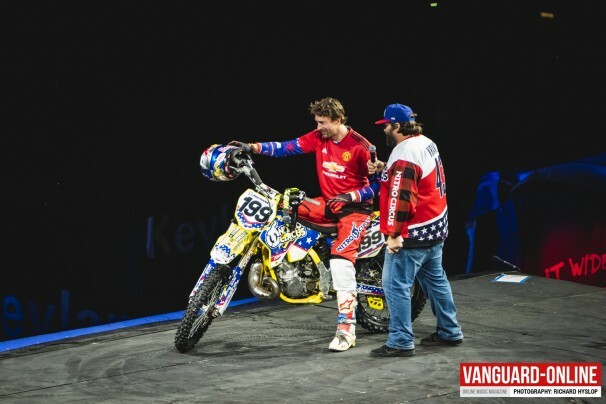 Travis Pastrana getting involved in both MX and MTB was pretty cool to see, coming up short with a brave attempt at a double backflip 360, great to see Jed Mildon smashing out triple back-flips with ease followed closely by Andy Buckworth with another triple then Brandon Schmidt coming in with an impressive attempt at a double back-flip, triple tail-whip, coming from a bike background that was a real ‘WTF’ moment for me. 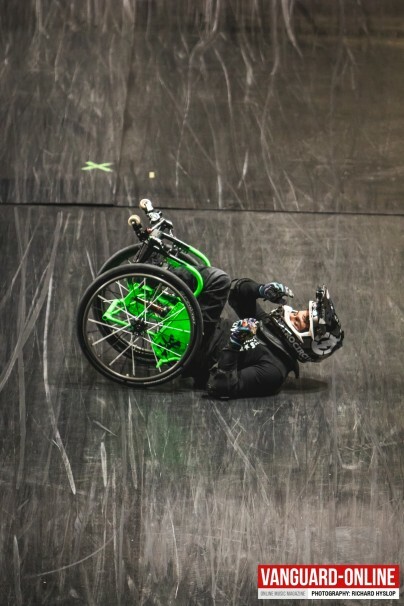 Aaron Fotheringham (Aka: Wheelz) was a major highlight and got the entire arena on their feet with his epic attempt at a double front-flip, sadly just coming up short on the rotation but amazing all the same and it was nice to see the crew take a moment to play a film reel of the late great Erik Roner. 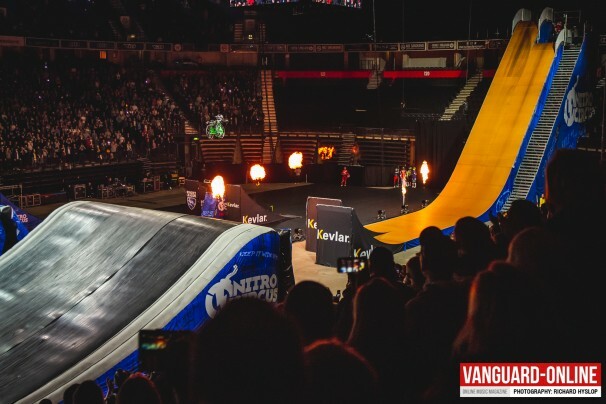 There is no other show in the world quite like Nitro, mixing the best action sport athletes, pushing the boundaries of what’s possible in everything from FMX to scooters and wheelchairs (with a mix of VW vans, Sofas, Jamaican Bobsleds and Wheelie Bins) making tricks previously thought of as the holy grail of tricks look easy, all within a live arena show! 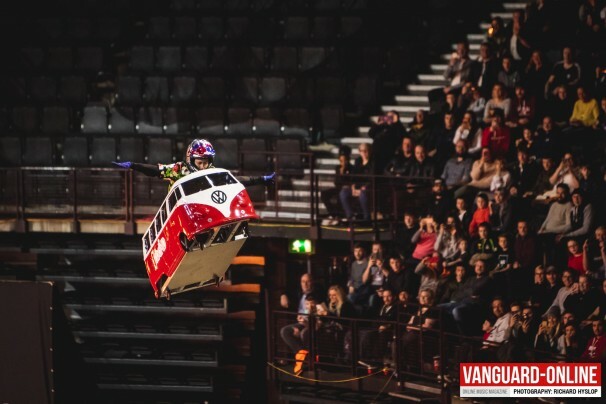 I for one really enjoyed the night, if you get the opportunity to go watch Nitro Live, then do… just do.